Image: Falcon0125/Shutterstock. Design: Ashley Britton/SheKnows. In 2018, Lieutenant Emily Lilly made history as the first woman from the Army National Guard to graduate from the U.S. Army’s Ranger School. 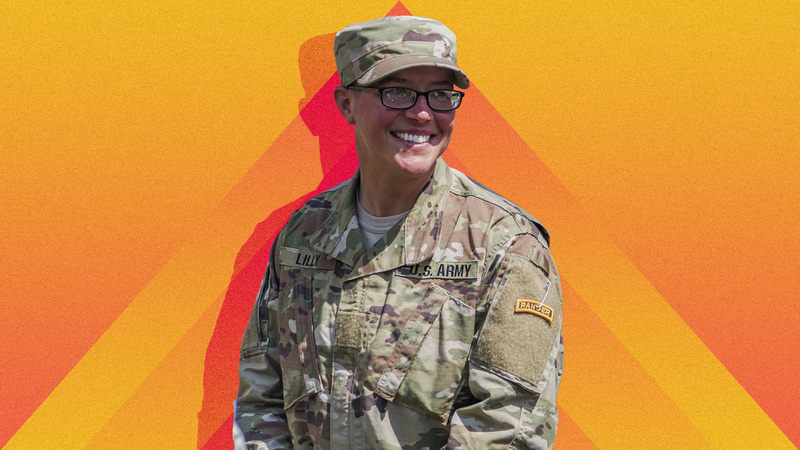 As a single mom who completed Ranger School, Lieutenant Lilly knows a thing or two about beating the odds, chasing her dreams, and balancing motherhood with a physically and mentally demanding job. Lilly, who is mom to a 10-year-old daughter and eight-year-old son, spoke to SheKnows about her groundbreaking career and the values she hopes to instill in her children. During her time training, Lilly says a fellow mom provided her with advice and motivation. 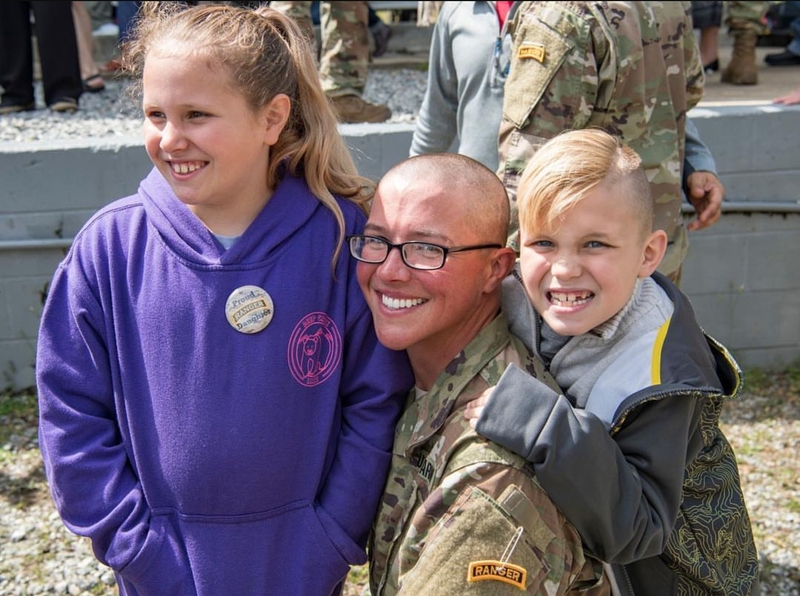 Although she’s the first woman in the National Guard to complete Ranger School, several women from other branches of the military had already made it through the school when Lilly entered. One of them also happened to have young kids. “She was a huge inspiration to me,” Lilly says. “I reached out to her for guidance on how to move forward through the school. She also has two young children so I got some feedback from her on how to handle it.” This is the Shine Theory in action, and we’re here for it. Lilly tells SheKnows that her biggest struggle is spending a lot of time away from home. When her children were younger and didn’t quite understand how the passage of time works, she would have conversations with them explaining that she would be away and place the focus on making plans for what they were going to do when she returned. “That way they were always looking forward to something and not thinking so much about when I was gone,” Lilly says. Now that her children are a bit older, they’re a little more pushy and will point out that Lilly’s work schedule means she sometimes won’t be home on their birthdays or for their school play. “It then becomes a deeper conversation with them about why I’m gone and what I’m doing while I’m gone, but also working with them on what other things we can do to make up for it once I return,” she says. Image: Courtesy of Emily Lilly. Like every other mom I’ve met, Lilly candidly says there’s no way to balance it all — but what we can do is make thoughtful decisions and do what seems best for our families at the time. For example, Lilly’s ex-husband made a conscious decision to turn down a promotion at work so he could maintain a more reasonable schedule while she continued to move up in the Army. During that time, Lilly was the primary breadwinner in the family. Rather than talking to her children about politics, Lilly focuses on teaching them to treat everyone with respect regardless of skin color, sexual orientation, or religion. “I have friends of all types and so does their dad. So they have interaction with all different kinds of people and they know these are mommy and daddy’s friends,” Lilly explains. But at this point, she and her ex-husband don’t talk to their kids about the divisive politics in the country. Undoubtedly Lilly’s children are proud to have a mother who serves our country with such courage and conviction — and has shattered a glass ceiling along the way.